Hardwood flooring has been a craze in commercial and residential spaces for ages. You may see this flooring in high-end homes. You may see it in businesses that span all kinds of industries, too. It can be nice to see hardwood flooring in the lounges of beauty salons and wellness spas. It can be just as nice to spot it in dining establishments and eateries. If you’re on the lookout for hardwood that can complement your existing space effortlessly, you should reach out to a flooring company that has a wonderful track record. You should contact a flooring company that has an impressive selection under its belt as well. There’s no arguing that hardwood flooring is eye candy. It contributes to interior designs that are cozy and alluring. Hardwood exudes a toasty and soothing feeling that’s not simple to find. Hardwood flooring possesses an enduring ambiance that’s incredibly inviting, too. It can blend in seamlessly in all kinds of commercial and residential environments. It can look wonderful in businesses that have nostalgic and retro design approaches. It can look just as good in homes that have futuristic and sleek design concepts as well. This flooring is nothing if not multifaceted. People can opt for hardwood flooring in all sorts of textures, stains, general styles and woods. Most people dread having to take on tough and elaborate floor cleaning duties, and understandably so. Extra time isn’t easy to come across nowadays. People who go for hardwood floors, though, never have to worry about this scenario for a second. Hardwood flooring doesn’t have intricate maintenance needs at all. Hardwood floor cleaning can be a breeze. If you sweep your hardwood flooring regularly, you can do away with fur from pets, dust, debris and soil. It can also be optimal to mop this flooring from time to time. Be sure to moisten your mop beforehand. This can encourage cleaning sessions that are particularly exhaustive. Moist mopping can extract persistent soil and gooey bits, too. It can be stressful to commit to flooring for any work or residential setting. Flooring is supposed to be something that remains dependable for lengthy periods of time, after all. Replacing flooring isn’t the simplest effort. It can usually cost people a lot of money as well. If you want to put your money into flooring that can hold its own against scrapes and imperfections of all kinds, then hardwood may fit the bill for you. It isn’t unusual for people to repeatedly refinish and sand these kinds of floors. These efforts do not in any way interfere with the resilience of these floors, either. People who don’t want to have to fret about frequent floor replacement are often massive hardwood enthusiasts. These floors are often invulnerable to the collection of debris. Staining them permanently isn’t usually a simple thing, either. Do you want to see all of the greatest choices in hardwood floors on the market? Do you want to browse wood flooring that’s a cut above the rest? Contact the capable and knowledgeable staff at our flooring company as soon as possible. 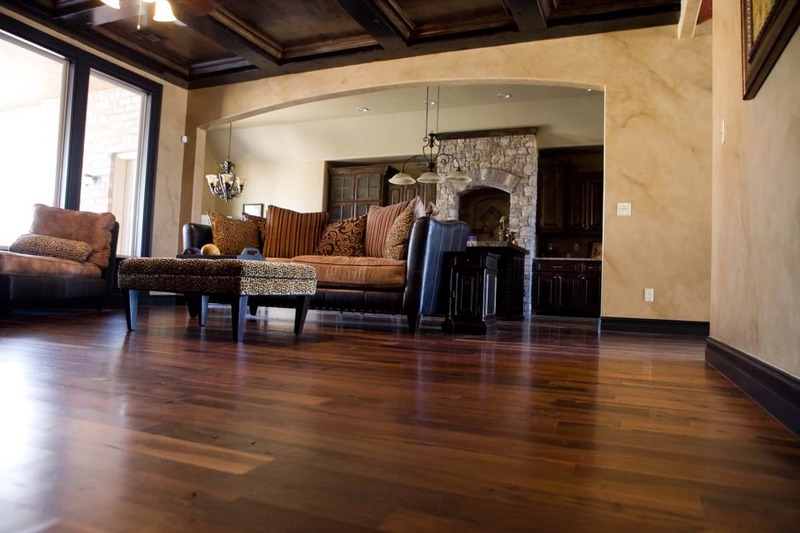 We’re a flooring company that prioritizes hardwood that’s of the best caliber out there. We’re a flooring company that emphasizes an abundance of options for our valued customer base as well. Drop our flooring company a line A.S.A.P. to discover more about hardwood and all of the great things it can do for your space.